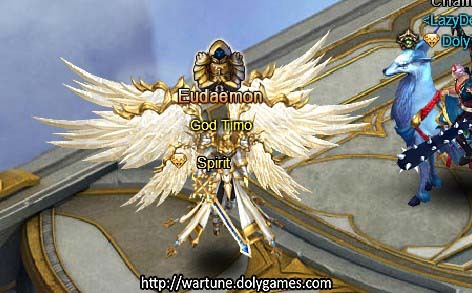 Eudaemon display when upgrading a Watchtower. Display when no Eudaemon has been dispatched – Dynamic Icon. Time remaining for current Patrol Quest – Countdown. Riot Icon: Only shows up when a riot occurs. Click to open the Riot panel and then the Friends panel, players will see this icon if a riot occurs on a friend’s patrol map. My Map: Players can only see My Map when they are visiting their friends’ patrol map. Click to return to your own map. 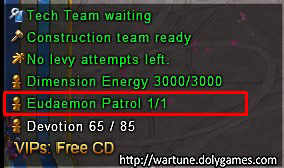 Eudaemon Patrol is only available to Level 70+ players. 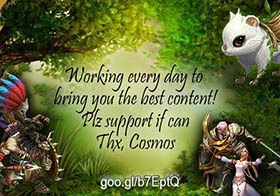 Players may talk to the NPC God Timo in Cloud City or use the shortcut on the left of the screen to access this event. Eudaemon List. Select Eudaemon to dispatch. Features unlocked as Base Camp level increases. 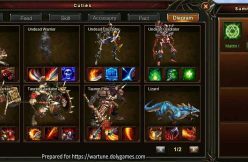 Upgrade Speed based on dispatched Eudaemon. 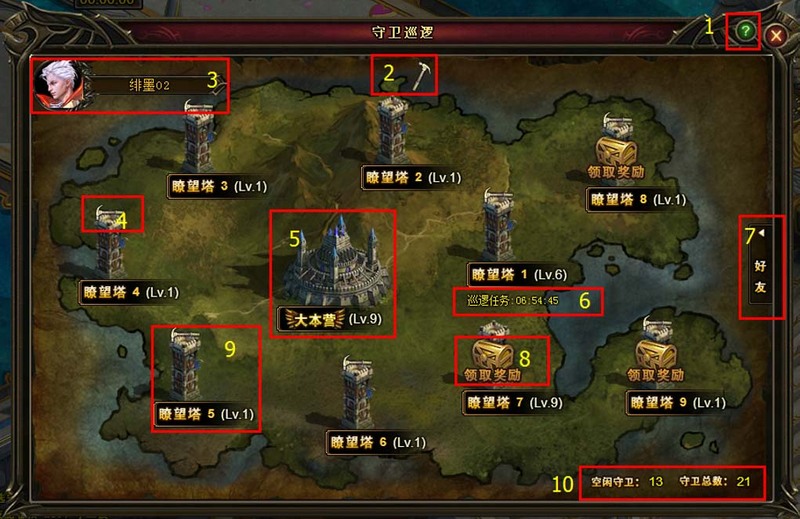 More Watchtowers will be unlocked as Base Camp level increases. More Eudaemons may be dispatched as Base Camp level increases. Less patrol time will be needed as Base Camp level increases. Eudaemons can be dispatched to upgrade Base Camp. 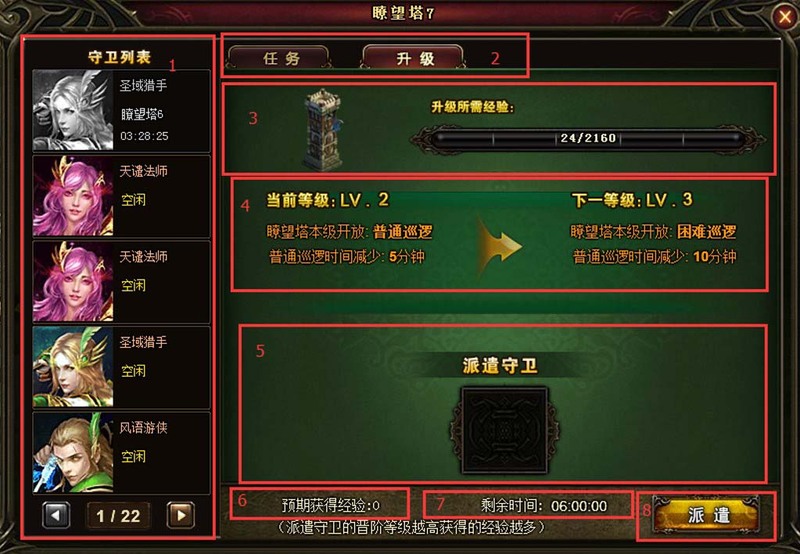 The higher the Eudaemon level, the more EXP will be obtained from a dispatch. Only 1 Eudaemon can be dispatched at first. As the Base Camp levels up, the number of Eudaemons dispatched will increase, up to 4. 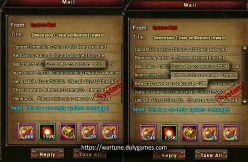 Eudaemons that are occupied in upgrading the Base Camp are not able to accept Patrol Quests or upgrade the Watchtower. Every time players dispatch a Eudaemon to upgrade the Base Camp, the Base Camp will get 6 hours of EXP. After dispatching Eudaemons, players may stop a dispatch. 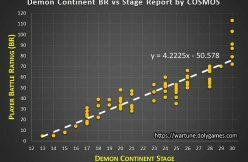 Base Camp EXP will be based on how long the Eudaemons have been dispatched. No EXP will be obtained when dispatch time is less than one minute. Base Camp EXP will no longer increase and Base Camp EXP bar will remain full. When a player tries to dispatch Eudaemons, a message saying “Base Camp level maxed! No need to dispatch.” will appear. The text which shows Current Base Camp Level will be centered. Note: Players cannot sell a Eudaemon that is upgrading the Base Camp. Eudaemons can be dispatched to upgrade Watchtowers. High level Patrol Quests will unlock as Watchtower level increases. 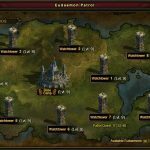 Less patrol time will be needed as a Watchtower levels up. 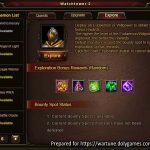 Players can only dispatch one Eudaemon to upgrade one Watchtower. A Eudaemon that is occupied in upgrading a Watchtower is not able to upgrade the Base Camp, accept Patrol Quests or join other tasks regarding the Watchtower. Note: Players cannot sell a Eudaemon that is upgrading a Watchtower. Normal Patrol quests will unlock when the Watchtower unlocks. Other types of Patrol Quests will unlock as the Watchtower level increases. 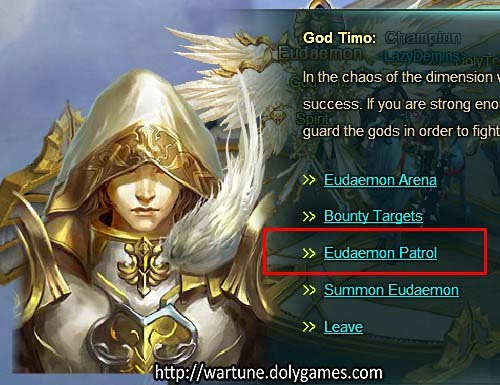 Only Eudaemons that meet the requirements can accept specific Patrol Quests. Riot: There is a chance that a Riot will happen during a patrol, only your friends can help quell it. There is no connection between different Watchtowers except the Eudaemon restrictions. One Watchtower will unlock at the beginning. More Watchtowers will unlock as Base Camp levels up. Watchtower level is not subject to the Base Camp level. 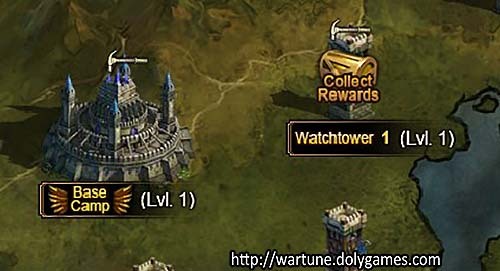 When upgrading a specific Watchtower, other Watchtowers will not be affected. Refreshing and completing Patrol Quests for a specific Watchtower won’t affect other Watchtowers. A Eudaemon that is upgrading a specific Watchtower or is doing Patrol Quests for that Watchtower will not be able to do the same thing for another Watchtower. Eudaemon List. 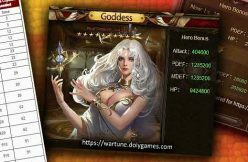 Players can dispatch the required Eudaemons according to Eudaemon tips. Watchtower Patrol Quests come in 3 difficulties: Normal, Hard and Nightmare. 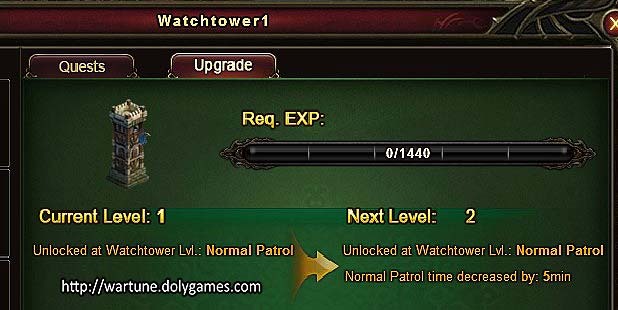 Normal Patrol quests will unlock automatically once a Watchtower unlocks. Hard Patrols and Nightmare Patrols will unlock when a Watchtower reaches the required levels. Patrol Quests of varied difficulties have different requirements and finishing times. Patrol Quests of varied difficulties may be done at the same time. However, Eudaemons must meet low level Patrol Quest requirements before doing high level quests. Eudaemons must also meet high level quest requirements before embarking on them. Patrol Quests of varied difficulties take different amounts of time to complete. Only Eudaemons that meet the requirements can be dispatched. Eudaemons that are dispatched to do Hard Patrols must meet Normal Patrol requirements first; Eudaemons that are dispatched to do Nightmare Patrols must meet Normal Patrol and Hard Patrol requirements first. Every time a Patrol Quest is completed, Patrol Quests of all difficulties will refresh. Once players send a Eudaemon out to patrol, they will not be able to replace that Eudaemon or stop the patrol until the patrol is over. 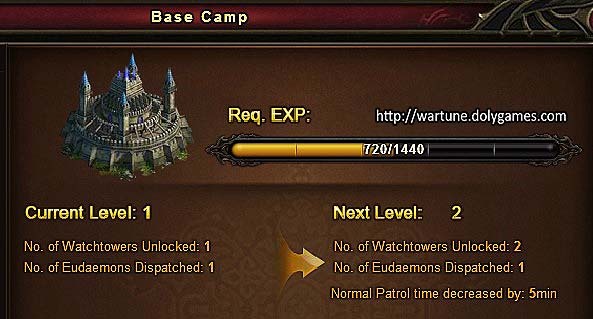 A Eudaemon that is doing a Patrol Quest cannot be dispatched to upgrade the Base Camp or Watchtowers. When the patrol time is over, a Patrol Quest will finish automatically. Players should collect rewards which show up on the Patrol Map manually. 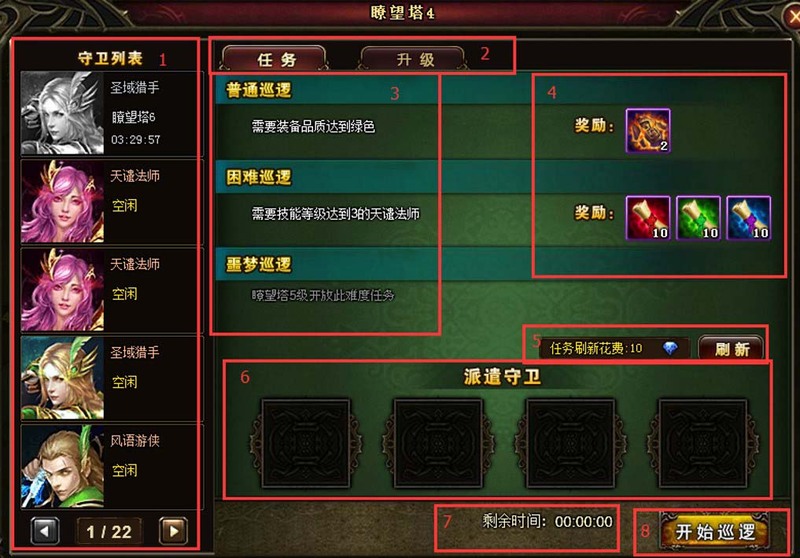 Rewards are based on quest difficulty. After completing a Patrol Quest, players should collect rewards which show up on the Patrol Map manually. 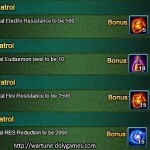 Before dispatching a Eudaemon out for patrol, players may use Balens or Bound Balens to refresh Patrol Quests manually. Patrol Quests of varied difficulties will all refresh each time. 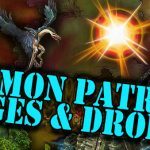 Players will not be able to refresh Patrol Quests once a patrol starts. Note: Players cannot sell a Eudaemon that is patrolling. Players should resolve a riot within an hour after it occurs. To quell a riot, players should ask their friends to head to their Patrol Map. Any Eudaemon may be dispatched to quell a riot. A riot can be quelled instantly once a Eudaemon is dispatched. Rewards will be sent to players’ Inventory directly and reward details will display in the chat. 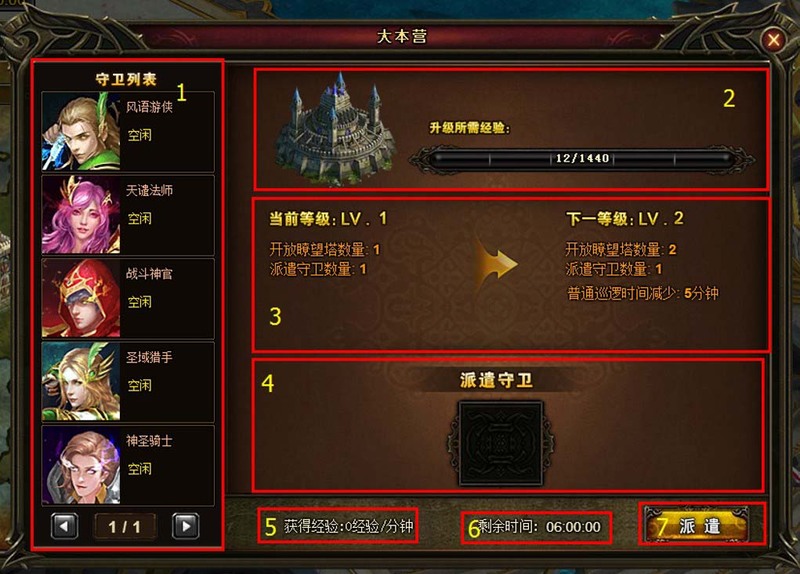 If a player’s Inventory is full, rewards will be sent via in-game mail. When a riot takes place around a specific Watchtower, players should resolve the riot within the given time. Otherwise, patrol time for the Watchtower will increase. Each player can help quell 10 riots a day. Attempts reset at midnight every day. simple question: why do we need it or what are the rewards ? So far the rewards I’ve seen are Blood of Zeus and Eudaemon Mark Shards, but I imagine they must get better as you level up the towers. I would also like to know what rewards are. 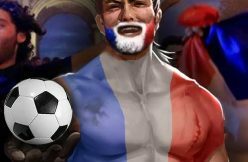 Any idea when we will get this patch? Some time in mid-April. 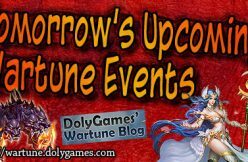 Once we get an official date, we’ll announce it for sure. so the eude that we use for patrol…can it be our main eude we equipped for our players? or we can only use extra unequip eude? 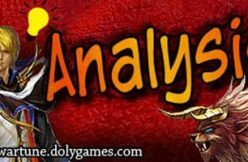 Is this replacing Eudaemon bounty quests or is it in addition to that existing feature? Is the video broken? It wont load here or on youtube. All other videos work fine.